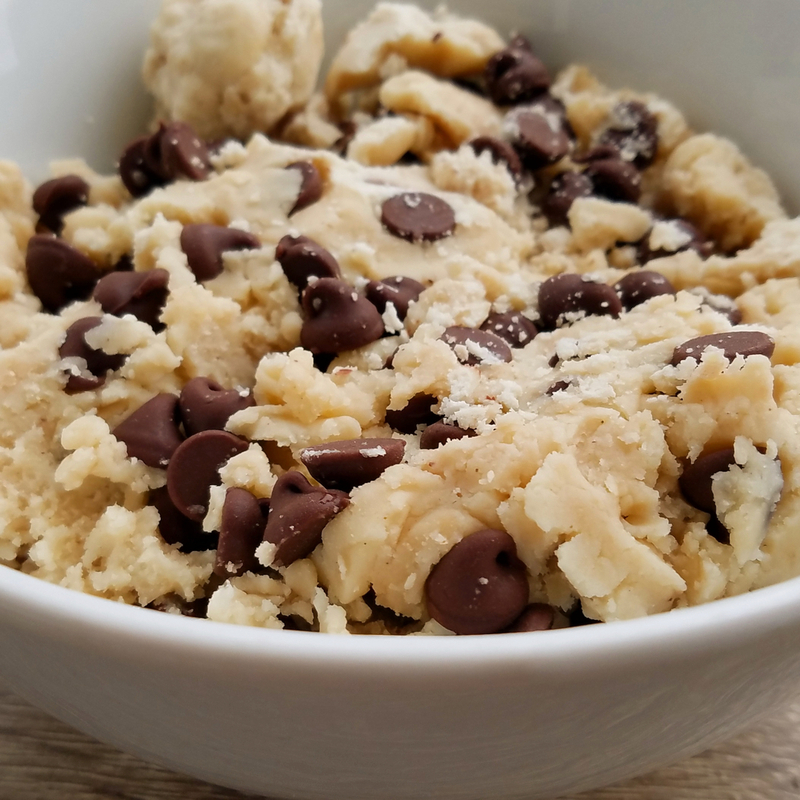 Of the many recipes on Gazing In, a set of raw cookie dough recipes, published when I was pregnant, years ago, are often our most popular and visited recipe. Raw cookie dough is soooo good! Having said that, I have been tinkering with versions Alistaire can enjoy. And this one really is satisfying. In a mixing bowl mix together the coconut butter, applesauce, salt, vanilla, and honey. Add in the gluten-free flour, mix until combined (it may take a bit of effort). Add in chocolate chips, pushing in to combine. If chilled for later, let come to room temperature. Coconut butter gets very hard when chilled.